I'll be back on Thursday with my latest DT creation for House of Cards, so I hope you'll join me then. This is elegant and I love looking at it. 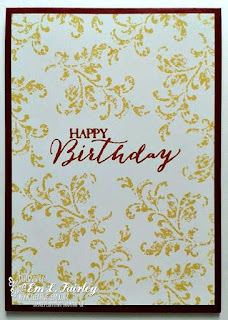 Love the flourish stamp and such a beautiful card. Beautiful card! Thanks for joining us at CASology this week! The design of this card reminds me of a Victorian design. Simply elegant. This card is beautifully done!